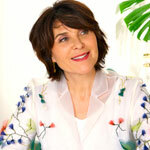 Lucy is an award-winning British designer winning both Gold and Silver medals at the Chelsea Flower Show. Although primarily known for her exquisite landscape design, those in the know are aware of her multi-disciplinary Design Company, LS+L that embraces house building, home renovations and interior design.Lucy firmly believes all good design should be both beautiful and functional with her focus embracingcomfort and style. Not surprisingly, Lucy’s love of plants has lead her to innovative floral design, when she caused a sensation by creating stunning lingerie made entirely from cut flowers. 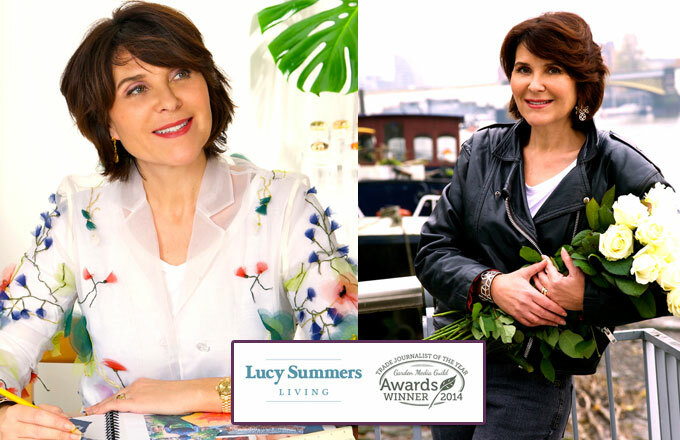 Lucy has presented a number of home-style and gardening programmes that included Room with a Viewer and Home Works both for the BBC and Home Grown and Britain’s Best Back Gardens for ITV. HGTV chose her as their official trend-spotter for the Chelsea Flower Show 2015 and as an industry expert she has an uncanny knack of predicting floral trends and advises businesses on future trends and marketing. Lucy is in demand as a freelance writer having written regularly for The Lady, Ideal Home and Landscape magazines that all contributed to Lucy being voted Trade Journalist of the Year 2014 for displaying a ‘provocative, in-depth knowledge’ of her subject. She is also author of the Green Fingers Guide a series of six titles to inspire gardeners how to choose and grow some of the world’s most beautiful plants, trees and shrubs. Not only is Lucy in demand for her extensive design knowledge and expertise, she’s also a lively speaker and has been a key speaker for cruise lines, Ideal Home, The Landscape Show and Country Living Show. As happy in a pair of jeans on a building site or a smart frock, Lucy is a complete book nut and loves nothing better than a fresh challenge.